Pervis went to school wit my cousin and my aunt down in Savannah & they graduated together in 85'. 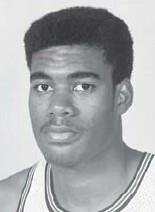 I met Pervis in 1991. My husband mac was a maintenance man in an apartment complex that pervis and Timi were living in. Timi's mom and myself knew each other from childhood in Philly. My husband is very ill and wants to speak with Pervis the number is 302-223-XXXX Please call !!!!! !